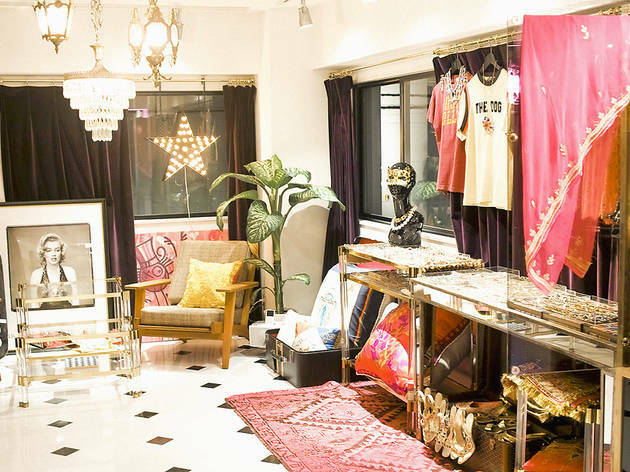 Make sure you call ahead before visiting this Minami-Aoyama shop, a haven for ‘sophisticated ladies’ that crams all manner of vintage and own-label clothes and accessories into its apartment location. Still only a year old, Peaches & Cream has preferred to rely on word of mouth so far, and you’ll have to make an appointment if you want to visit. It’s worth the extra effort just to browse their original vintage label, Sarah & Bred, as well as a dazzling range of glass jewels and trinkets (including necklaces and earrings) imported from Czechoslovakia, plus an eye-catching selection of Moroccan items, including babouches and clutch bags. 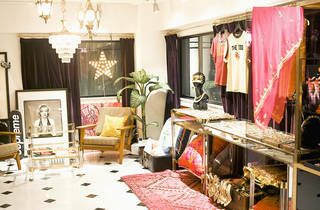 If you’re after a touch of vintage glitz, book yourself in for a browsing session.